“The Pill” has been around since the 1960s now. This contraceptive has changed the face of the 20th century and provided millions upon millions of women with the control they needed over their lives. Because of their long history, combined oral contraceptives are an extensively studied, very safe, and highly effective birth control method. Combined oral contraceptives are constantly evolving, with different pills appearing on the market regularly. Is the pill a good birth control choice for you? Thanks to UC Irvine/Flickr Creative Commons. Combined oral contraceptives are called that because they contain two hormones: estrogen and progestin. Different forms of these hormones have been used throughout the various generations of the birth control pill, and with each modernization there have been fewer side effects. The estrogen content has not just been altered but also decreased, again reducing side effects. The pill prevents pregnancy through a number of different mechanisms. First, it thickens the cervical mucus, making it almost impossible for sperm to enter into the uterus and beyond. Then, it alters the natural hormonal cycle that causes the various stages of the menstrual cycle, and prevents ovulation from occurring. Progestin is the most active component of combined oral contraceptives. This is the hormone that thickens cervical mucus and inhibits the surge in luteinizing hormone that is so crucial for ovulation to occur. Estrogen suppresses Follicle Stimulating Hormone (FSH), which is another hormone crucial to a womans fertility. With perfect use, the failure rate of the pill is less than one percent. This rises to about 11 percent in women with typical use. 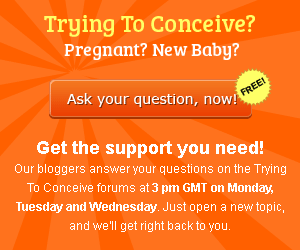 For more information, you may like to read: What is the risk of getting pregnant despite the pill? Is the pill for you? Did you know that the pill can be used as an emergency contraceptive as well? The pill comes with plenty of non-contraceptive benefits — it does not merely prevent pregnancy. Some women use the pill for entirely non-contraceptive reasons, such as heavy menstrual cramps, irregular periods, acne, and endometriosis. Women who stop using the pill will quickly return to fertility; the pill does not cause long-term fertility changes. The pill is often said to cause weight gain, but studies have suggested this is not really the case. 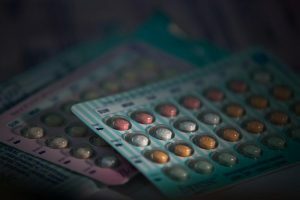 Finally, the contraceptive pill will not put a fetus at risk if you do get pregnant despite pill use (something that is more likely to happen if you do not use it correctly). You should not use the pill if you are a smoker and youre older than 35. If you have heart disease, coronary artery disease, or a higher risk of blood clots, you should not use the pill either. Some women who have diabetes or hypertension wont be suitable candidates for combined oral contraceptives either; discuss this with your healthcare provider. Migraines and neurological symptoms, liver or gallbladder problems, and certain tumors also rule out pill use. Finally, women who have undiagnosed uterine bleeding should steer clear of the pill too. Monophasic pills contain an equal amount of progestin and estrogen throughout their cycles. Multiphasic pills, on the other hand, vary in their estrogen vs progestin content through the cycle. Though multiphasic pills are said to increase cycle control, there is no evidence that this really works in practice. Pills are formulated as 21/7 or 24/4. The first option consists of 21 active days and seven withdrawal days. These seven placebo pills will cause a “period”, or the shedding of the endometrium due to a break in the medication. The second option contains 24 active pills followed by a shorter withdrawal phase of four days. The “periods” a woman gets when she uses birth control pills are not the result of the normal hormonal cycle, but are rather caused by the break in hormones during the non-active stage of pill use. Many women continue with the next pack of pills and discard the placebo pills to prevent bleeding at a time when it is not convenient to them. Now, there are also birth control pills that are designed that way. These continuous use pills have been found to be just as safe as other hormonal contraceptives in large studies. These pills are comparable in safety and side effects to the normal combined oral contraptive, depo provera, and the Mirena coil. Combined oral contraceptives will come with different dosages of their respective hormones. Discuss what the best option is with your prescribing healthcare provider. Those women who do experience side effects on a certain pill can easily switch to another brand, as long as they are in regular communications with their healthcare providers. Possible side effects of the pill can be separated by the active hormones that cause them. The side effects and risks of estrogen include nausea, arterial thrombosis, venous thrombosis, and elevated levels of LDL cholesterol and triglycerides. Progesterone-related side effects tend to be a little less scary: bloating, constipation and fatigue. A more serious side effect caused by progesterone is depression. The symptoms associated with a blood clot are abdominal pain, chest pain, headaches, eye problems and severe leg pain. Though the absolute risk of blood clots is very low for most pill users (weve already mentioned that smokers over 35 just shouldnt be using the pill at all! ), it is good to be aware of these symptoms.